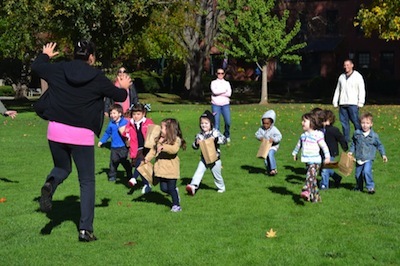 Learning through play is the foundational belief behind everything we do at LPP. Your preschool child may be an explorer, inventor, scientist, performer, artist, negotiator, wizard and best friend at some point every day. All this is beautifully incorporated in a play-based learning environment. Our teachers understand the importance of stretching your child’s mind beyond the present while continuing to build upon the foundation of their family experience. Each child is unique, with an individual learning style, attributes, needs, inclinations and growth patterns. A recognition and appreciation of these individual talents, preferences and differences is central to our educational philosophy. Providing a rich, play-based learning environment promotes growth in all areas for our children. We believe that choice is essential for your child to grow. Self-expression and creativity blended with your child’s natural curiosity. The desire to make sense of their world will be their prime motivator for blossoming in all developmental areas. 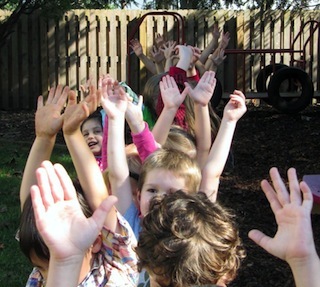 In our preschool class, your child will learn through a variety of individual and cooperative group experiences. Daily activities will promote personal awareness, emotional well-being, reasoning, communication, socialization, and perceptual-motor development. A confident child will succeed more readily in challenging situations. Our teachers will promote your child’s confidence and positive self-image above all else.